The Results are available in the official website of the Hemwanti Nandan Bahuguna Garhwal University. So just visit the Garhwal University official website and check your results online. And you can also check your result from here. So here below I am giving you a web link by which you can easily check your B.Sc Final Year Back Paper Results online easily. So just click on below given link and then a new window tab will be open. After that find your roll number and then type your roll number on given section in it. And then click to submit. After all you will get your B.Sc Final year Back Paper results 2013 online with all mark details. For more information and query then you can also mail us at onlineuttarakhand@gmail.com. And for more details about the University check the University website:- www.hnbgu.ac.in. 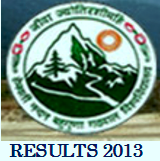 Click here to get your B.Sc Final Year Back Paper Results 2013. Stay connected with us for more updates about exams, results and other news in Uttarakhand. And you may also like us on Facebook to get our all the updates on Your Facebook wall. And you can also follow us by Google+ updates.